*Discounts as compared to prices for the same products generally available on our website. Discounts available on select hotels only and not available with all flight bookings. Discounts offered will vary based on flight destination, length of trip, booked dates and select product suppliers. 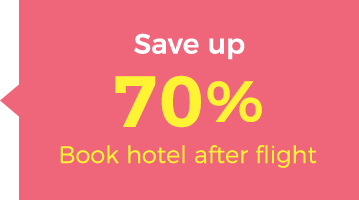 Offers are available for a limited time only after booking your flight.